The Wolfe-Bouc Group’s origin dates back nearly three decades ago starting with Nancy and Fred Wolfe—a husband and wife duo who moved to Denver when Fred was hired to design the city’s bike paths. 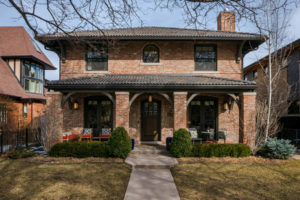 The pair grew up in real estate—Nancy’s father a developer, Fred’s an architect—and soon established their own real estate business with a reputation for superior client service and results. 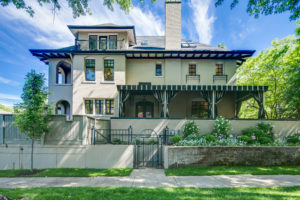 After garnering record sales in many of Denver’s historic neighborhoods, they became experts in architecturally significant properties and country estates across the Front Range, quickly earning their place among Denver’s top real estate brokers. As founding partners of Fuller Town and Country—now LIV Sotheby’s International Realty—the Wolfes remain leaders in the industry and a driving force behind the firm’s success, which was named the #1 Sotheby’s International Realty affiliate in the world in 2018. The multi-generational team consists of Nancy and Fred Wolfe, their son, Ian, and Chris Bouc, all of whom bring a wealth of experience to the table. Fred and Ian share a passion for architecture, Nancy calls upon her background in education and social work to tap into clients, and Chris, who has an MBA, bolsters the business side. Additionally, the team employs a dedicated licensed assistant, Jessica Rodriguez, whose transaction expertise leaves no stone unturned. This dynamic allows the team to navigate Denver’s complex housing market with ease, and realize extraordinary outcomes for their clients. 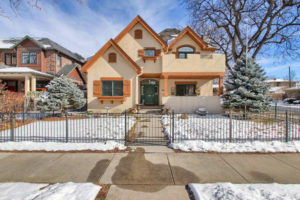 Consistently recognized by the Denver Board of REALTORS in the Top 5 Teams for outstanding production, and by The Wall Street Journal and Real Trends as the top 250 Real Estate Teams nationwide, the Wolfe-Bouc Group offers what few others can—unprecedented customer care, coupled by a legacy of extraordinary results. With the reach and resources of a globally recognized brand, Wolfe-Bouc Group delivers a modern, full-service approach to real estate that quite simply, puts the client first. The business was built on the backs of two legendary real estate professionals, and it is their continued dedication, broad market knowledge, and concierge style service that are at the very foundation of the Wolfe-Bouc Group today.